Apple Watch is no longer a rich boy’s toy or an accessory for Kool Aid-drinking hipsters — it’s a device you’ll want to give to people you love because you want to protect them. This new status means it has reached a significant inflection point, becoming an essential tool for better healthcare. What has Apple done here? ECG for the rest of us: The new watch offers the ability to take an ECG (electrocardiograph) reading by launching an app and placing your finger on the Digital Crown. The Crown carries a small titanium electrode, and once you touch it a connection is made, and the ECG reading can be taken in about 30 seconds. It’s the first over-the-counter ECG monitor ever made, and it has achieved FDA clearance for use in the U.S.
Heart health monitoring: The Watch also provides low heart rhythm detection and warns if your heartbeat is irregular and if it might have detected atrial fibrillation. Health records: Those ECG readings, along with all your other heart-related Health data, is all kept in your Health app. This means that next time you visit your doctor, you will be able to provide them with extensive information to help them diagnoses any heart problems you might have. Fall detection: There’s lots of reasons for people to fall over. Apple Watch Series 4 identifies sudden, rapid falls and immediately begins an emergency sequence. It waits a minute, so you can let it know everything is OK, but if the sequence is initiated and you leave it alone for over a minute, it will automatically call emergency services, letting them know a fall has been detected. I imagine this will be useful to help protect elderly people and imagine it may have implications in car accidents and more. The big picture here is that Apple has just created a series of essential tools and services that make Apple Watch a life saver. I see this as Apple’s desiderata mission statement and predict the company will continue to weave new sensors and health-related intelligence inside these wearables in future. “Savvy providers love having insights into their patients. If a patient has an Apple Watch, it only takes a simple tap on Apple Watch and the data can be shared with a physician,” he said. Apple is answering a genuine need here. Cardiovascular disease is the number one cause of death internationally, accounting for 31 percent of all deaths on the planet, according to the World Health Organization. What’s important is that healthy diet and exercise can prevent or delay many of them, while in the case of some conditions early intervention saves lives. As does accurate heart health data — Apple claims its watch can provide doctors with the level of high-quality information you once needed to go to a clinic to obtain. You may recall that one of the first viral good news stories about Apple Watch broke around March 2016, when Dennis Anselmo used his Apple Watch to check his heart rate when feeling sick and found it had hit 210 beats a minute. Anselmo was experiencing the early signs of a heart attack. He sought medical help, and his life was saved as a result of his smartwatch. It was later confirmed that Apple had begun working to develop technologies to better monitor the heart. These and other medical technologies are required to meet very strict burdens of proof before they are approved for use in the real world. For example, when I spoke with Triton Sponge developer Siddarth Satish, he explained that the regulatory proof he had been required to give to the FDA in order to get his life-saving solution used in U.S. operating rooms generated enough documentation to fill a small room. 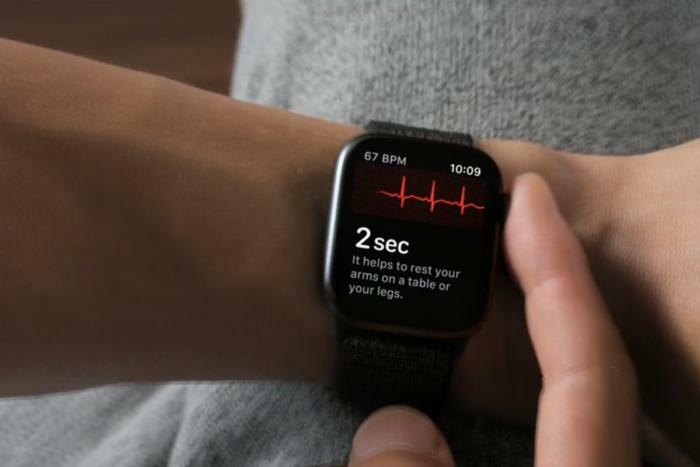 This changed recently when the FDA simplified its De Novo process to make it a little easier for bona fide companies like Apple to bring products such as the Apple Watch ECG to market faster than was previously possible. This is the first de novo FDA clearance for a consumer device. “The FDA worked closely with the company as they developed and tested these software products, which may help millions of users identify health concerns more quickly,” said FDA Chief Scott Gottlieb in a statement. It is important to note that the international regulatory environment is not harmonized, so readers outside the U.S. may be waiting for a while before the solution reaches them. That’s not necessarily a bad thing. Apple is a trusted entity, and that means the solution it has provided actually works. This also means that Apple will be able to gather lots of real-world data once its watch ships, data it can use to help achieve regulatory approval for the system for use in other markets. However, it is also important to note that both the FDA and Apple warn that the solution isn’t going to catch every problem you might have with your heart, so it’s still important to see the device as one of many protective measures. That Apple has been able to bring its first such FDA-approved health solution into the mass market bodes well for all the other health-related technologies its sensor development teams have been working on for the last few years, potentially including non-invasive diabetes sensors, sleep sensors and more.